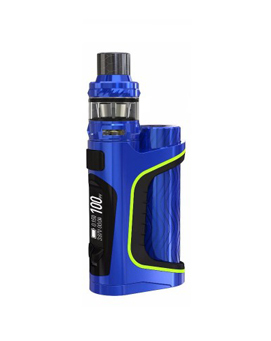 The Eleaf iStick Pico S is a 100W, removable 21700/18650 device that refreshes the highly popular Pico range. Outstanding finishes, and a unique through fitted battery tube are at the core of a really different product offering. 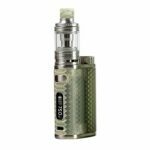 The full kit package includes the new Eleaf ELLO Vate tank, which features sliding top fill and bottom airflow. Primarily aimed at enthusiast (and extrovert) vapers. Stunning finishes, solid feel and quality complemented by great looks, high performance atomizer heads and fully featured adjustability. 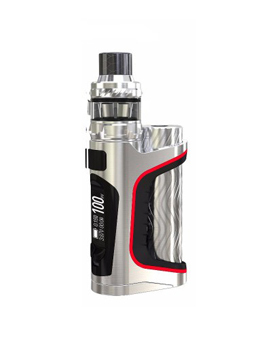 The Eleaf iStick Pico S has a wide range of operating modes, including all common temperature control types. 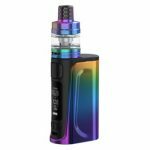 The ELLO Vate tank is supplied with the new HW-M (Multihole) and HW-N (Net) atomizer heads, which come up to vaping temperature rapidly, but are very resistant to overheating and provide the ultimate choice for vapers who want large plumes of vapour. Sliding refill mechanism means the ELLO Vate tank is easy to keep topped up. ELLO Vate tank with latest atomizer technology for huge clouds of vapour and outstanding flavour. A full complement of output modes for a fully customised vaping experience. 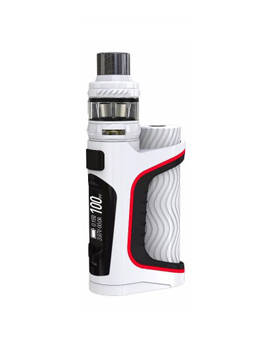 18650 or 21700 battery / up to 100W of power. The ELLO Vate tank is a cloud chasers dream. 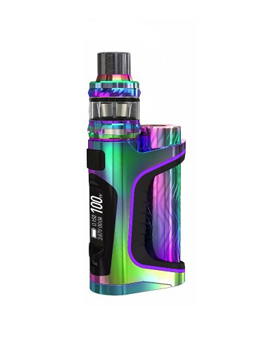 With sliding top fill, sub-ohm cloud chasing atomizer heads and coming completely apart for easy maintenance, it is the ideal match for the iStick Pico S.
Multiple safety features work alongside new internal technology for a fantastic vaping experience. With minimal ramp up time and up to 100W of power, the iStick Pico S is ideal for cloud chasers. Beautifully styled, the Pico S has customisable LED lights that you can alter to match your style. Couple this with the lines of a sports car and you have an e-cig that will help you stand out from the crowd.